A Century of Progress World's Fair was held to commemorate the 100th anniversary of the incorporation of the City of Chicago. Its theme was to demonstrate the nature and significance of scientific discoveries, the methods of achieving them, and the changes which their application has played in industry and in living conditions. 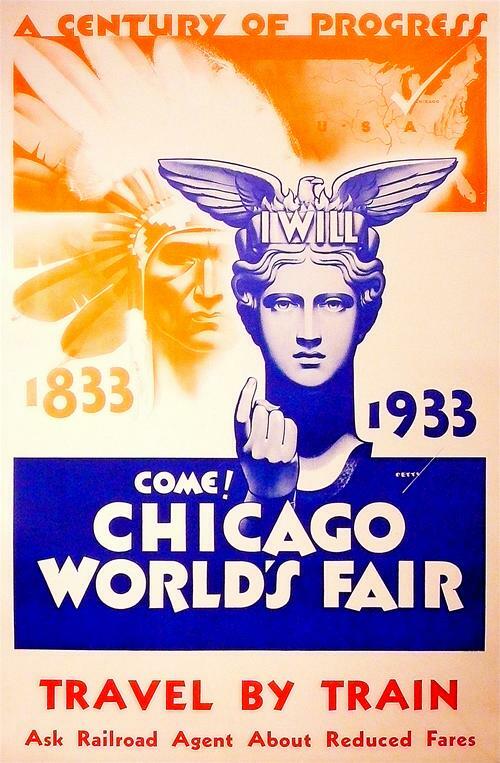 The World's Fair drew over 39,000,000 visitors (so successful it was repeated in 1934) and for the first time in American history an International fair paid for itself. Select from the icons below to begin your journey through a Century of Progress.